Feeling like it's time to make that move? Whether you've had this feeling for the last month or the last year it's important that you consider a few things before you actually walk away from your current job. I must first say that I DO NOT believe you should leave your current employment without gaining clarity on who you are, what you want to do and where you want to go, as well exploring the financial considerations of your decision. Without doing this work you'll merely jump out of a frying pan and into the fire. There may be circumstances where a quick exit is warranted, but if you spent some time gaining the clarity I mentioned, you may find that where you are is exactly where you need to be. Counter intuitive I know, but I'll save that for another blog post. I decided to walk away from my career seven years ago because I knew it was time. I had been unhappy with where I was and where I was headed so I new had to make a shift. I was working my side hustle and often dreamt of what it would be like to do it full time. Even though I was fearful of what it would mean to be "without a job" for the first time, I knew I had to make the move but wanted to do so gracefully. Leaving a job gracefully enables you to protect your future career path and maintain good relationships with former colleagues. If you're thinking of staying in the same industry new jobs are often enhanced by good relationships with former bosses and co-workers. Also, it's a small world and you never know who from your past you might meet again in your future. I've been lucky enough to have several work colleagues hire me and become my clients. The average worker changes jobs 10 times or more in a lifetime and I believe that's because they haven't done the work I mentioned earlier. Nonetheless, while you're making these moves it's important to do so mindfully. 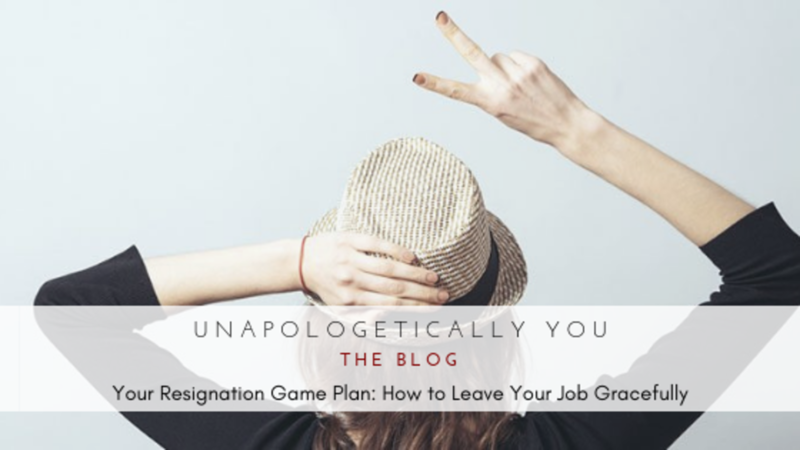 Here's a resignation game plan you can follow to ensure a smooth transition, protect your good name and keep your career on track. 1. Be discreet about searching for a new job or working your side hustle while you're working. Conduct your job search on your own time. Use your mornings, evenings and days off to work your side hustle. If you have a side hustle that you're working to turn into a business, don't let it get in the way of your current duties. * Use your private email and cell phone for your business, to book interviews, send out resumes, or schedule client appointments. * If your next move requires a different look or style, start dressing that way now if you're concerned about looking conspicuous on the days you go out on interviews, network, or meet with clients. 2. Consider your timeline. Timing always plays a big part. 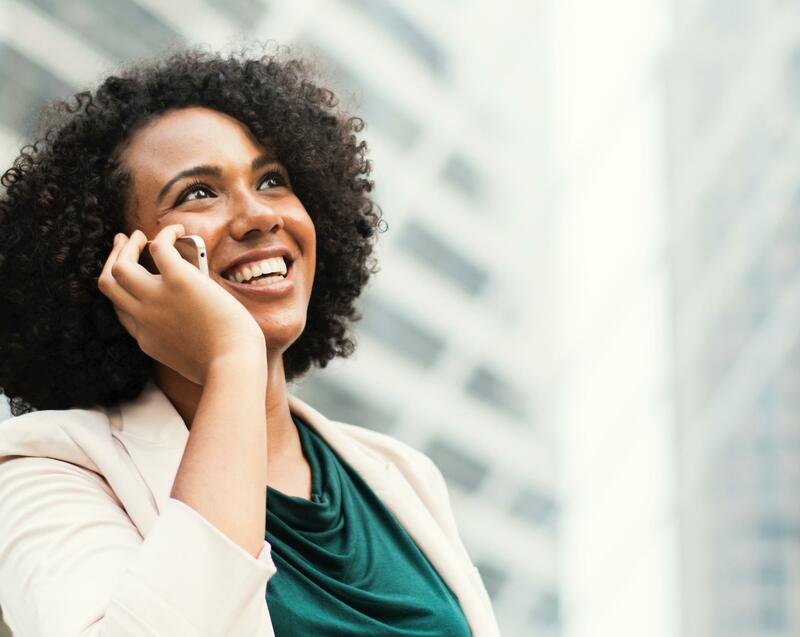 If you're just in the consideration phase of leaving your current job, use this time to start exploring what you really want to do and what your life's work could be. This way, you'll be in a better position to go after what you really want. * Become a master of your calendar. Set aside time to work with a career or business coach to get you on the right path. Learn to work effectively so you can still have time for your family and other things that are important to you. * As a midlifer you'll also want to set aside time to master your mindset and prepare yourself for the shift, particularly if you're going from an employee to an entrepreneur. 3. Consult with your family and the company policies before your resignation. Refresh your knowledge of the process for resigning at your company, but also be sure to check in with your family. * Some workplaces may require you to notify your supervisor and the human resources department. Try to accommodate at least the minimum notice period requested. Also, instead of resigning, you may want to explore working on a part-time or consultative basis if that sounds more appealing. * Resigning from your job is a family affair to make sure they're on board with your decision and you've talked about the impact your next steps will have on them. 4. Check your employee manual for compensation issues. Find out what you're entitled to when it comes to benefits such as unused leave, pension, insurance, and flexible spending accounts. You'll be prepared to verify that everything gets accounted for in your final paperwork. 5. Complete your assignments. Remain diligent about fulfilling your current responsibilities. It's the right thing to do and will make a better impression, however things turn out. 6. Leave detailed documentation. Impress your supervisor by maintaining an updated training manual that your successor can use. This makes a graceful departure easier and your final days less hectic. 1. Know the basics for a good letter of resignation. Regardless of the circumstances, put a positive spin on your reasons for leaving and express your gratitude for the experience. Specify your date of departure and offer your assistance with the transition. Close by extending your good wishes and the desire to stay in touch. *I often tell me clients to think of this process as a "break up." Explain how it's you and your need to for something more or different and not about the employer. 2. Talk with your boss. In many situations, you'll want to approach your boss in person to give them notice before the formal resignation letter. It can help defuse any anxieties and maintain a cordial relationship. *In my case I not only talked to my boss, I talked to his boss because I had a really good relationship with her. I thought it was an act of kindness to give her a heads up and it worked beautifully to my advantage. 3. Clarify your references. Connect with key colleagues on LinkedIn so you don't loose track of them. You can try to get reference or recommendation letters before you leave, or you can choose to wait and contact them at a later date. If you can, bolster those references with additional endorsements from board members or key executives in your organization. 4. Make realistic commitments. Your employer will probably appreciate your cooperation in the transition. Offer whatever is feasible for your schedule in terms of training a successor and finishing projects. Have an idea of what will work for you before you submit your letter. 5. Help find your successor. You can contribute to the process by recommending someone you believe would be suitable for your position. Don't make it personal and don't refer to them as a "great friend who would be perfect." Instead, approach it professionally by supplying their resume, references, and a letter outlining how their skills and ability would make them a perfect fit for the role. 6. Be prepared for your exit interview. Some companies conduct exit interviews to collect feedback from departing employees. 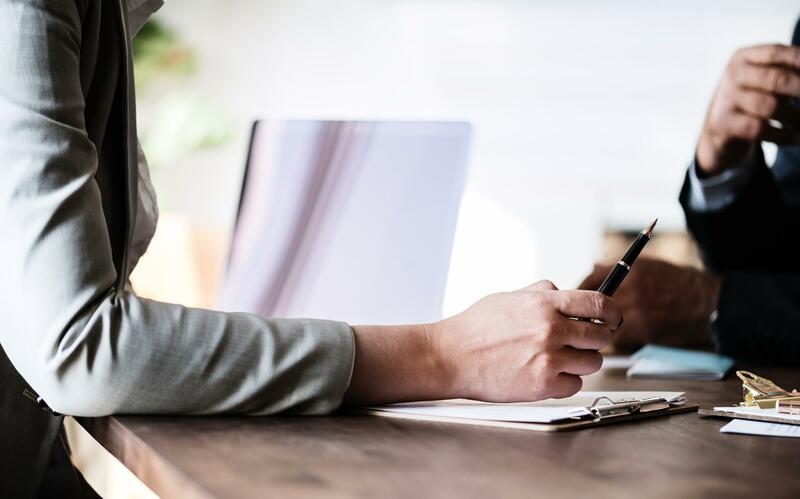 Depending on the corporate culture, you may want to make constructive suggestions or just avoid saying anything that could cause complications. 7. Remain part of the team. Keep a positive attitude right through your final moments on the job. Speak tactfully about any past conflicts as well as about your new position. Make every effort to be helpful and considerate. Starting out on a new adventure is an exciting step forward in your life. However, you'll want to be sure that your transition out of your old role is as peaceful and fruitful as possible so there's no cloud over your next steps. I can't stress enough that before you even consider leaving your position you get clarity on your next steps, gain the confidence you need to own it and the courage to pursue it. You may find that the job you hate can become a training ground for your new adventure. Let me help you, like I've helped so many of my clients, make this move. Schedule a free session with me today.